Welcome back! To be frank (or Grim, really), I’m not sure if that’s a welcome back to us, or you guys, but let’s go with it either way. 2018 has arrived and with it, the promise of new fun times to be had and adventures to be embarked upon. No, not those adventures, but plenty of exciting ones regardless – some which might surprise you more than others. Yours truly spent the holidays back on my Floridian homeworld, soaking up some Sol and enjoying the soft sands of beckoning beaches. Despite the yuletide fun in the sun, it’s great to get back up to the beautiful and cozy pacific northwest – and back into the Halo groove. We’ve got a few things to catch you up on this week, so let’s check out what’s been going on lately. The HaloWC 2018 season is nearly ready to get underway, with online competition just around the corner. Starting Jan. 13, teams will compete online through GameBattles.com ladders and single elimination tournaments to earn qualification points based on their performance. These points will be used to determine qualification for travel and hotel accommodations for each region, including the Orlando Open. Points earned will also be used to determine seeding for all HaloWC online tournaments and live event qualifiers. In addition to the online competition, we also recently released new updates regarding both settings for HaloWC maps and modes (including Oddball), as well as a HaloWC Orlando Open Format Update. Make sure you check them out for all the latest details! Another recent exciting development on the HaloWC front was the addition of an epic FFA element, letting lone wolves prove themselves against some of the world’s best. While we’ve already had plenty of awesome FFA action at many of our recent HCS events, as well as Microsoft Stores across the globe, we also announced that each open event in the HaloWC 2018 season will feature a $5,000 FFA tournament, all leading up to the Halo 5 FFA @ HaloWC 2018 Finals here in Seattle, WA where 12 qualified players will duke it out for an additional $10,000. It’s going to be ridiculously awesome, and you can find out all the details on how you can compete and qualify in our official announcement right HERE. Also, speaking of Halo 5 FFA, the next Microsoft Store tournaments take place on Jan. 28, so make sure you stay tuned to @HCS for the latest news on how to register and compete. 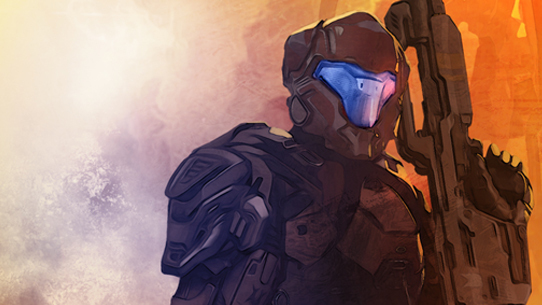 Over the break, your favorite Halo fiction-focused feature hit the century mark! 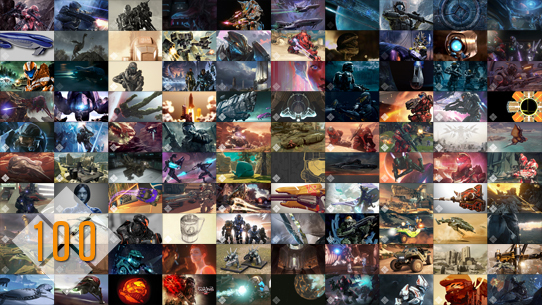 The 100th issue of Canon Fodder showcased some awesome brand-new Halo art from folks like Darren Bacon and Jeremy Cook, and new expanded background lore on everything from battle-hardened ODSTs to a beloved Warzone boss. In addition, we answer a few burning questions and highlight some of the best canon-concerned community corners around. Definitely give it a read and let us know what you think! 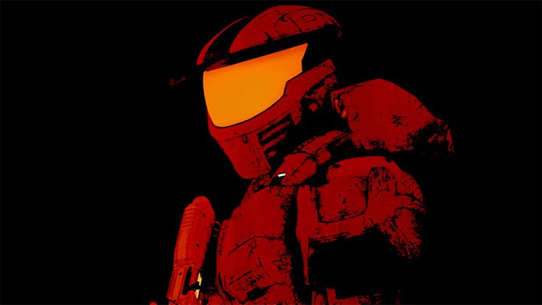 If you’ve never checked out Canon Fodder before, it’s our Waypoint series dedicated to exploring the vast fiction and lore of the Halo universe. From new story reveals to deeper dives on characters, events, weapons, vehicles, and more, there’s almost always something for fans both green and grizzled. Check out the full article archive HERE. Everyone’s favorite medieval-minded mode is back for another week of narrow-bridged, flag-capping action. If you haven’t tried Castle Wars yet, you haven’t lived. Although to be fair, even when I do play it, I don’t live very long. And if you need any more reason to jump in and try it out, we’ll be hosting another 343 Community Playdate on Friday (tomorrow), Jan. 5 from 4-5 PM PT. Joining ske7ch, Bravo, Unyshek, and myself, will be a few of our moderator friends from the Halo subreddit. Together we’ll be storming community castles for an hour and giving out 343 Ice Unicorn weapon skins to folks that get matched up with us. Don’t miss it! Over the past few months, Halo fans on social media have noticed a friendly face popping up more and more to lend an eager ear to folks wanting to give thoughts and feedback on the Halo franchise. That face belongs to one Jessie Thomas, a games user researcher for the Xbox team at Microsoft. After earning a degree in Neuroscience from the University of Michigan, Jessie went on receive her PhD in Cognitive and Perceptual Psychology from the University of Washington. As a researcher for the Halo franchise, she designs and conducts research on players' experiences and sentiments and provide insights to the development team at 343 Industries. Jessie has an undeniable passion for understanding, connecting with, and advocating for the many types of Halo players – a task I think we can all agree is a mighty tall one to try and tackle! One of the primary methods this happens is through the Halo Community Feedback Program. Jessie recently took to Twitter to gather some of the most common questions the community has regarding how feedback is both solicited and collected through initiatives like the HCFP. She reached out, you responded, and now it’s her turn to respond to your response! JESSIE: Great question! The research team is consistently running studies both in and out of our labs. For studies that occur within our labs we first determine what the goals are for that study, then determine the participant profile best suited to answer those questions. Sometimes we want a very specific profile like complete newcomers, or highly skilled Arena players, or perhaps Forgers or lore experts. Other times we want a more general audience that contains all sorts of different players. It all depends on the research questions we are asking during that specific study. @NickArcadeX: Also, do you guys use eye tracking software when play testing? JESSIE: We track a lot of things in our playtest and usability labs, and yes - We have used eye tracking software to track gaze and test visual attention. @Lockout_CE: How do you account for those not active on the main platforms of communication (Reddit, Twitter, Waypoint)? Also, certain sub-groups tend to gravitate towards certain platforms, i.e Twitter tends to have more competitive players & waypoint seems have a more casual crowd, so how do you weigh the feedback from each of these platforms in light of the various subgroups that populate them? JESSIE: Super great question. You are totally right – different types of Halo players partake in Halo culture in different ways. Lots don't discuss or share their thoughts at all on social media, even though they are a super engaged player. We as humans are known to create our own "social biomes" by gravitating towards folks who tend to agree with us rather than those who often disagree. This means we can unintentially create bias towards certain topics or viewpoints that can reverberate. As such, our team tries to look at lots of different channels including survey campaigns, game play telemetry, lab participants, focus groups, and social media sites. It’s never just one source. @TiberiusAudley: Are heatmaps ever used for data collection, to see where certain weapons may be outperforming others? JESSIE: Absolutely, in fact there is an entire team within 343 Industries devoted to the measurement and analysis of game telemetry data which is used to track and measure a multitude of different game play behaviors. @Teapot_Yo: How do you obtain feedback from players who have moved on from the the game or series? For example, many of my friends stopped playing after 3 but they also don't frequent any platforms anymore that are halo related to provide feedback? JESSIE: As a member of the Xbox Research team, we survey as many different populations that we can, including those who play other titles on other platforms. However we only reach out if those folks give us the O.K. ahead of time. That’s why it’s great to sign up for feedback programs like the HCFP! @HalopediaWiki: Here is an interesting question. Ever use a Halo Wiki like ourselves or @HaloWiki during your research? JESSIE: I have! We have some incredible internal resources that I rely on heavily, but Halo Wiki is a great place to get info too. @Andy_HCI: When you introduce new things to the Halo series, people who step into a lab are likely to say "yes please" to more explosions, new weapons, new etc. How do you get data that gets passed the novelty effect? JESSIE: Novelty effect is something that totally happens and its effect on game play scores and feedback is actually pretty predictable. Since our team has been playtesting for MANY years across MANY titles, we have built up analyses that account for conflating factors including novelty effects. @ZosoFan360: How much of your research is extracted from large scale game data? How much based on user-feedback? This seems like it would be hard to balance, especially if user-feedback doesn't match the data. JESSIE: It’s almost always both. It’s usually a complex dance between quantitative and qualitative data. Real insights require both kinds of data! @TheRZIGuy: Do you look at past games and how well certain features in those games were liked or disliked before considering them in your next game? JESSIE: We totally do. The team I work for has had researchers working on Halo since Halo: CE. The findings and insights from every Halo game are passed down and shared with every researcher working on Halo and the game development team at 343. It’s a lot of data and a lot of knowledge to build off of! GRIM: Jessie, thanks so much for sharing these answers, and for everything you do to try and help give a voice to so many different types of Halo fans and players! JESSIE: Of course! I so appreciate all of the folks who have shared their views and feedback with us. Thank you, thank you! If you would like to sign up for the HCFP please do so here. Or feel free to reach out to me on Twitter @Jessabirdy. While I may not always get an opportunity to respond, I value your feedback and do take time to read your views. Thanks again! We open up today’s Community Spotlight with a Milkshake Halo 5 Montage, edited by BuddyThe3lf. Next up is an awesome Halo 3 montage by Dill. Love the flying object kills – so many good memories! 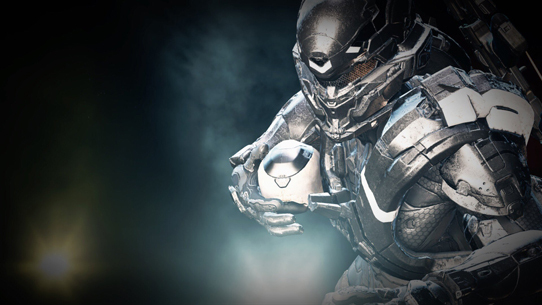 Continuing the montage mania is BrutalityZR with their eighth Halo 5 collection. Finally, we have XK5 Zombie78 with Halo 5 Montage: Oblivion featuring DJ Unbound. 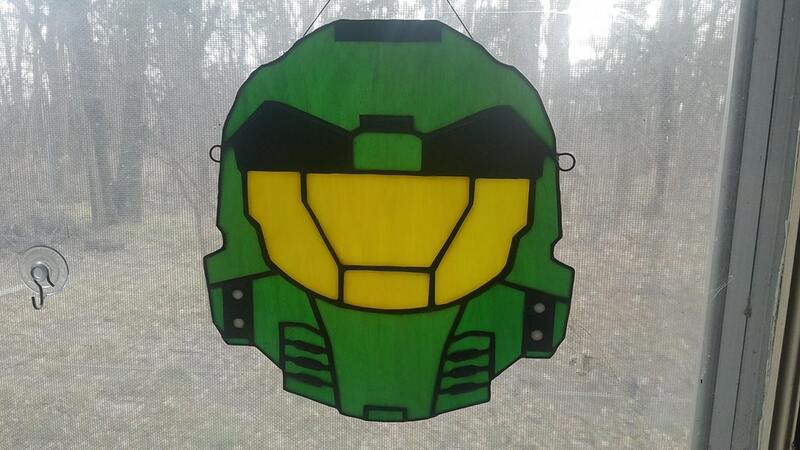 Ichabodglass shared this awesome stained glass rendition of the venerable Chief. So rad! Loved these pieces of art from @PinkSangheili, Philorian, and Fotus Knight. Over the break we saw a ton of awesome shots, including some really great holiday-related ones – here were some of our favorites! That will do it for us this week, hope your new year is off to a good start – see you soon! Until next time… Live well, play Halo, and make sure your New Year's resolutions are set to 4K. Greetings, good citizens! Welcome back to another round of the Halo Community Update - we've got some neat things to cover, including Halo World Championship info, new books on the shelf, cool community creations, and a bit more. Read on!